What is the Manon Oval table top made of? 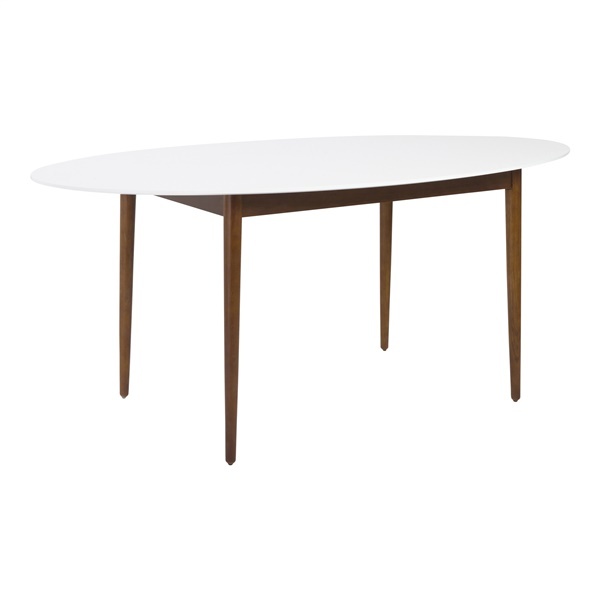 The Manon Oval Dining Table Top is made of MDF with a matte white lacquer finish. Is the top of the table scratch , stain and heat resistant? While the table top has a protective coating, we do still recommend cleaning up spills immediately to prevent stains, and to avoid exposing the table top to high heat. Hot pads, coasters, and trivets should be used when applying drinks and hot pots to the table top surface.